Welcome to the Ash Class blog! : Borth day three! 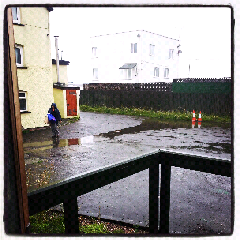 Our final morning in Borth and the weather is WET! Also the tide is high so we're sheltering in the classroom behind the hostel at the moment. The children have packed their soggy, sandy, smelly clothes into their bags and cleared out their rooms - we have a group of tired but happy children who are ready for some home comforts! We'll be leaving Borth at about 12.30 so should be back at school by 3ish. The children have been great, although they need bed-making practise before Manor next year! Thank you for all your hard work looking after the year 5s and making sure they had a fantastic trip (despite the weather)!! Looking forward to seeing all the pictures and hearing all the stories from the children! Welcome home everyone! A big thank you to Mr Morris, Mr Kenyon & Mrs Williams for looking after everyone so well. Ella is tired but happy & missing some kit but i'm sure will always remember Borth! Thanks again! :)) Ellas mum! 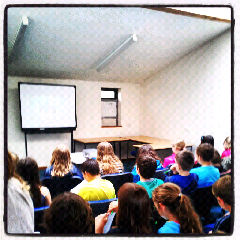 Hello we remember when we went to Borth it was the best school Trip we've ever been on. We're sure the year fives will love it. Can't wait for manor.